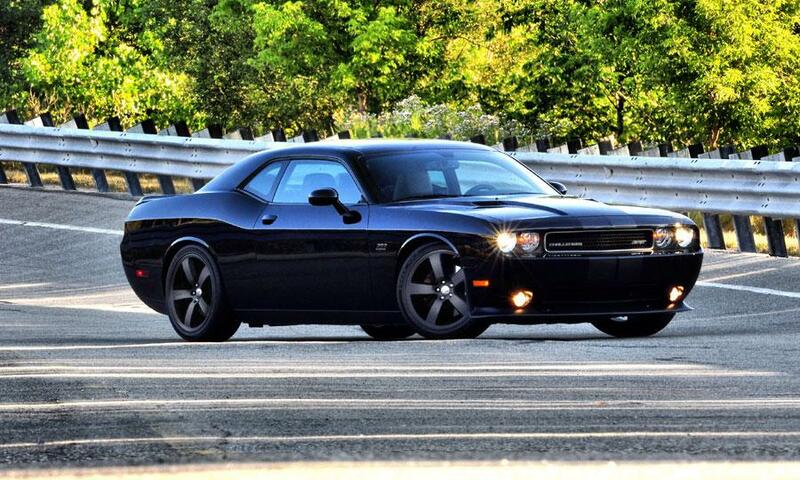 Dodge Challenger SRT8 392 of Sergio Marchionne for Auction - Drive Dodge - Drive Sport! At an auction in Florida the great and one and only personal Dodge Challenger SRT8 392 of the Chrysler head Sergio Marchionne will go under the hammer. The head of GM Dan Akerson did not keep his own Corvette for charity. The head of the rival Chrysler Sergio Marchionne could not leave this gesture without attention and soon will say goodbye to his personal Dodge Challenger SRT8 392. Marchionne unique Challenger painted in black, and along the body stretched with ash-gray racing stripes. The car is equipped with upgraded suspension and exhaust system of Mopar, and trimmed with black leather interior and logos SRT 392. Under the hood there is a 6.4-liter engine V8 with 470 horsepower, which is paired with a 6-speed “mechanics”. It accelerates from 0 to 100 km / h in just about 5 seconds. Selling of the car is held by Barrett-Jackson, and the auction itself will be held in early April in Florida. The money from the sale of Challenger will go to the account of the organization of United Way for Southeastern Michigan, which takes care of the education of Detroit residents. It is noteworthy that Akerson also sent money from the sale of his car to help residents of the capital of the American automotive industry.